Add all ingredients except for the chives to a Magic Bullet cup and blend. Sprinkle with fresh chopped chives. Whenever we have people over at our house, the munchies are flowing. We like to offer a few different dips and appetizers for people to choose from. One dip we always make is this easy taco dip. It is made with sour cream, cream cheese and taco seasoning mix. Get creative with the toppings for this dip: cheese, tomatoes, olives and jalapeños are just a few ideas. This dip is best served with tortilla chips. Blend the cream cheese, sour cream and taco mix in a Magic Bullet cup, then transfer to a bowl. Top the dip with your favorite toppings! If you like sweet and spicy, you are going to love this mango salsa recipe. Traditional homemade salsa ingredients are combined with mango chunks to create a delicious salsa dip. You can use this mango salsa on top of fish, salads, or as a dip with tortilla chips. 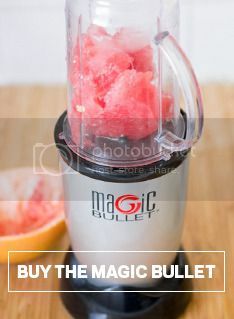 Add all ingredients to a Magic Bullet Blender and pulse a few times until desired consistency is reached. Salsa is probably one of the most versatile foods out there. Good on its own as a dip, or as a topping for tacos or sandwiches, or as a salad mix-in, or as a chicken or fish marinade, the possibilities are pretty endless. But tomato salsa is so yesterday. Modernize your salsa repertoire with this healthy, vegan, sweet and savory salsa you can quickly make in your Magic Bullet. Keep extra on hand to top your favorite protein with, blend it a little longer to create a delicious puree, or mix it in with rice right after cooking for a delicious twist on some classic recipes. Add all ingredients to your Magic Bullet Tall Cup and pulse 5-6 times, or until ingredients are well combined and you reach your desired consistency. Enjoy with chips, baked atop fresh salmon or tilapia, or as a topping on your favorite taco. Optional: add 2 small, roughly chopped tomatoes along with the other ingredients. Note: If ingredients don’t all fit, split into two portions, blend each, and mix at the end.